/ Modified sep 13, 2018 5:53 p.m. The hospital is the first in Arizona to sue opioid manufacturers and distributors. Opioid-related deaths are on the rise in Arizona. 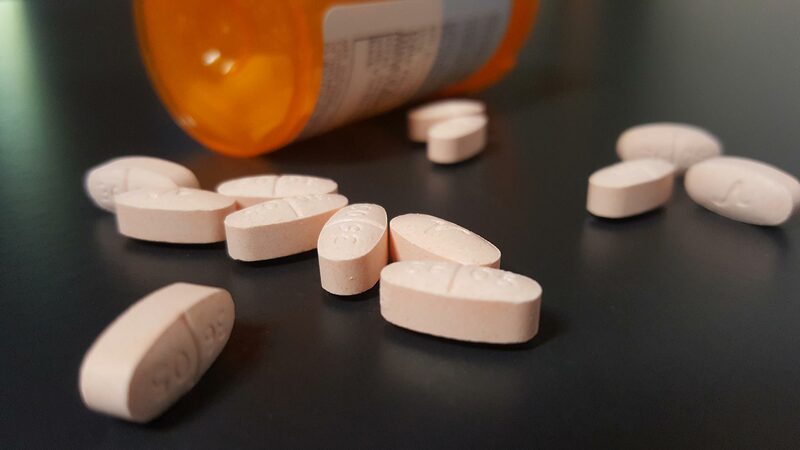 Tucson Medical Center is suing a group of opioid manufacturers and distributors, claiming the industry knowingly pushed inaccurate information. Your browser does not support the audio element. Tucson Medical Center is the first hospital in Arizona to file suit against opioid manufacturers and distributors. The suit, filed in state court, accuses 25 opioid makers and six distributors of conspiracy and lying to increase the use of the drugs. The TMC suit stems from the escalating number of opioid abuse victims showing up at the hospital. “Over the last few years, we’ve been seeing more and more people coming into our emergency department and into our labor and delivery unit, pregnant women who had opioid abuse issues to the point where we set up a new unit in our neonatal intensive care unit to deal specifically with newborn babies who were born addicted,” said Tim Hartin, TMC Vice President and Legal Counsel. The suit says opioid distributors and manufacturers lied about the addictive nature of the drug. It claims the opioid industry tried to convince doctors the drug is addictive in less than one percent of all cases. The court filings also claim the drug makers violated federal law. “The Controlled Substance Abuse Act, which has been incorporated into law in Arizona, requires all parties in the manufacture, distribution and the whole close circle of opioids to report what are called suspicious orders to the DEA,” said Sam Mitchell, outside counsel for TMC. Those orders include high numbers of prescriptions from individual doctors and large amounts of the drug being prescribed to individuals. The suit says they were not reported to the federal government. Opioid distributors say they are not the problem. The Healthcare Distributing Alliance represents three of the named defendants in the case. The HDA gave AZPM a written statement in response to the suit. They called the “misuse and abuse of prescription opioids a complex public health challenge”. “Given our role, the idea that distributors are responsible for the number of opioid prescriptions written defies common sense and lacks understanding of how the pharmaceutical supply chain actually works and is regulated. Those bringing lawsuits would be better served addressing the root causes, rather than trying to redirect blame through litigation,” said John Parker, Senior Vice President, Healthcare Distributing Alliance. The TMC suit is the second filed in Southern Arizona recently. Earlier this summer, Cochise County filed a similar suit. At the time, Parker sent AZPM an identical statement. TMC attorney Tim Hartin said he expects the opioid industry the doctors have some culpability for prescribing the drugs. “That was done based on s sustained campaign by the opioid industry to change what we thought we knew about opioids and I think where we are starting to land on this is that we were better at treating pain 15 years ago than we are now. It used to be doctors wouldn’t prescribe opioids for chronic pain unless it was an end of life situation and now they do it routinely,” said Hartin. After the suit was filed, hospital officials say doctors and nurses thanked them for “stepping up.” They also said TMC is not unique. “We felt it was our obligation to take this step because we are disproportionately affected, as is our county,” said Julie Strange, TMC Vice President. No other hospitals have joined the suit, but TMC attorneys said that step may yet come.